We are, of course, talking about the natural wonderland that is Canada. Whether it’s chilling with a family of black bears, paragliding off a mountain, or driving a UTV across ridiculously stunning landscapes, there’s enough on offer here to get your heart seriously racing. We’ve teamed up with fellow bucket list curators, Destination Canada, to compile a pretty epic list of eight bucket list experiences to add to your list, like, now. If bungee jumping isn’t on your bucket list, do you even have a bucket list?! 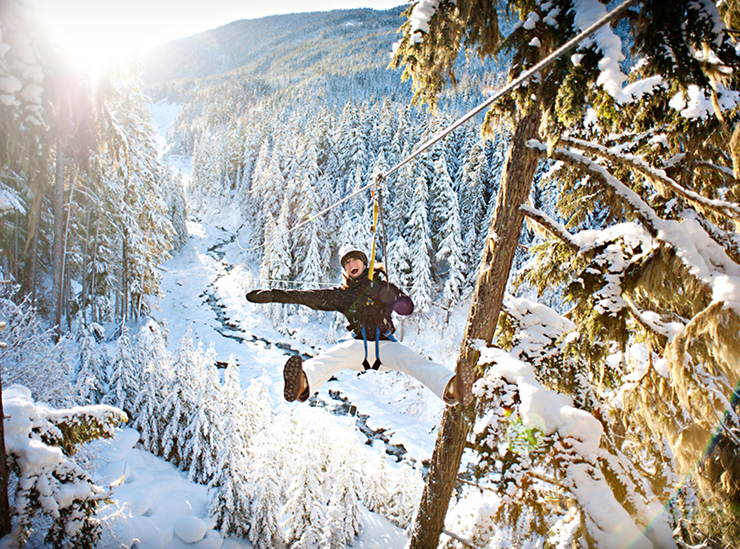 Whistler Bungee is touted by locals as the most extreme activity in Whistler, so it’s got the local tick of approval! There are no excuses here either, you can jump alone, tandem, or even in a wheelchair. The best part (aside from the hit of adrenalin) is how damn gorgeous the surrounds are. There’s something to be said about getting out amongst nature. Especially when you’re seeing it from new heights like hanging from a zipline flying through the trees with snow-capped mountains in the distance. If this doesn’t count as a bucket list item, we’re lost. Add spending the day floating through the mountains in Whistler to your bucket list and you won’t regret it. We mean, check out that video above. The best way to see a new city? In a fast-paced jet boat, of course. Make your way down the St Lawrence River as you soak in the sights of Montreal in what is potentially the most adventure-packed sightseeing tour ever. 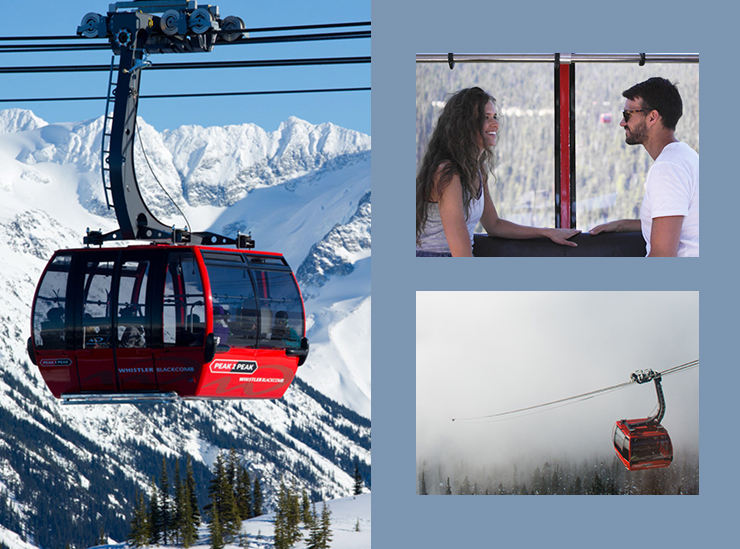 The Peak2Peak Gondola in Whistler traverses the distance between Whistler and Blackcomb Mountains and just so happens to hold its very own Guinness World Record. Add this one to your list if you’re after stunning, unparalleled views of the different ecosystems that make up British Columbia. Think volcanic peaks, coastal rainforest, ancient glaciers, and, if you’re lucky – bears! Plus, there’s even a viewing window in the bottom of the gondola. Your friends will be hating you after your Insta story from the Peak2Peak. So, by now your bucket list has you exploring via gondola, and even bungee jumping so it would be rude not to add a sneaky UTV tour in there too for good measure. 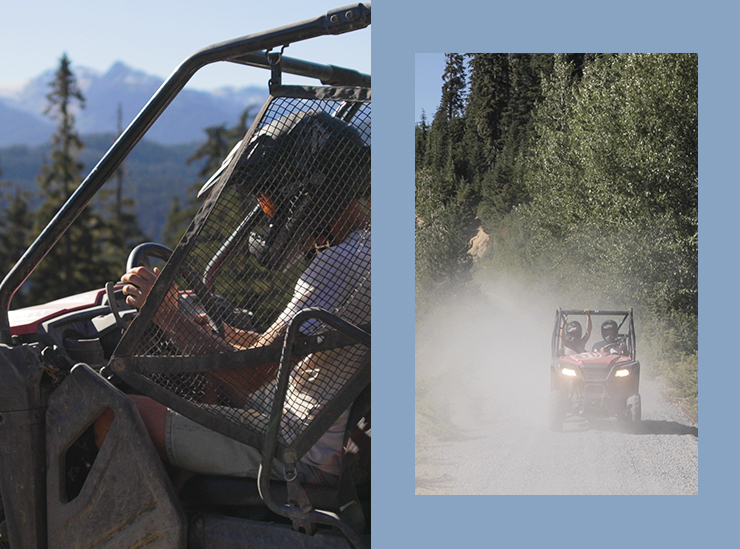 Head out for a self-guided tour with your squad and get amongst the scenery of Whistler and Blackcomb Mountain. There’s no experience necessary, either, so leave your excuses at the door. Surprise, you can actually drink vodka straight from an iceberg in Canada, because why not, right?! The vodka is harvested from icebergs off the coast of Newfoundland. Each year, thousands of icebergs break off from glaciers in Greenland and travel via the aptly named Iceberg Alley where they’re then harvested by ~iceberg hunters~. And yes, it’s actually delicious. Why? Because these bad boys are made up of water that was around before industrial pollution was even a thing, so, you’re essentially getting drunk on the purest vodka in the entire world. No biggie. Paragliding is terrifying. But that’s the best part, right?! Take off from the top of Vancouver’s Grouse Mountain and enjoy the sights and the surrounds as you free fly. It’s a pretty incredible way to kick off your trip to Canada if you ask us. Each spring as Canada heats up, alpine and glacier lakes begin the thawing process which leaves behind azure turquoise water…ripe for kayaking. To access these glacial lakes, you’ll need to jump on a helicopter through the Cascade Mountains (hello waterfalls, rivers, and glaciers!). FYI, the Cascade Mountains are part of a rugged-yet-stunning region that spans the border between Canada’s British Columbia and the U.S state of Washington. This is untouched wilderness at its peak, how can you say no to that?! Suddenly need to book a trip to Canada? Visit our friends at STA travel to start planning your trip now. Editor's note: thank you to Destination Canada for letting us in on these bucket list items, and thank you for supporting the sponsors who make The Urban List possible. To read our editorial policy, click here.